Debbie's party, Sands Restaurant, Saunton, March 11th 2006. 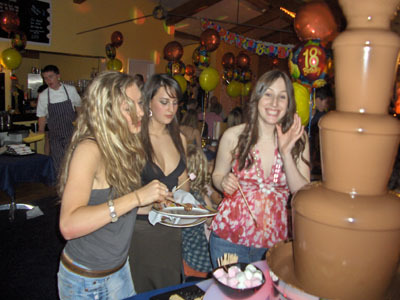 Hi all, I got some really good photos so I thought that I'd post them for you all to see, I think that you liked the chocolate fountain. 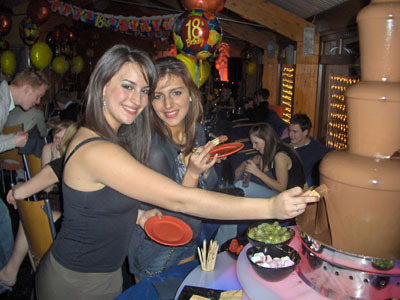 I hope you all had a fantastic night at the Sands restaurant, it was definitely one of the better parties!! If you need a bigger copy, please don't hesitate to email chocolate Fountains of Devon.